An upgrade for budget systems? This was a set-up we tried out of curiosity. There's going to be a lot of PCs sold with low-end 8500GT cards in, which we've already established aren't very good for gaming. 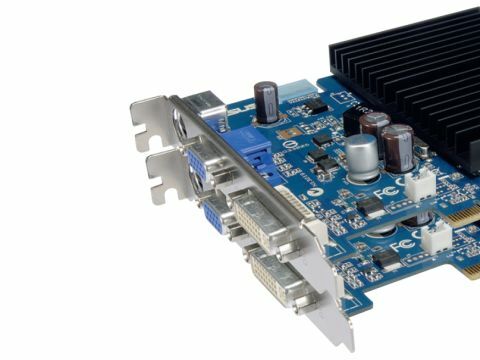 Rather than add-in another 100 pound-plus board, though, is SLI a good upgrade route? If you put in another low cost 8500 - and our second board came courtesy of Point of View - do you have a decent gaming rig, which can be passively, and therefore quietly cooled? In a word, no. With the exception of Oblivion - which once again shows how efficient the G8x architecture is - none of the benchmarks got much better with the extra card in place. Indeed, Prey actually got a lot worse. If you buy a PC with a single 8500 in, forget pairing it with another, and consider something else.